Graeme Codrington is an expert on the future of work. He is a keynote presenter, author, futurist, facilitator and strategy consultant working worldwide across multiple industries and sectors. His distinctive style blends cutting-edge research, thought leading insights with humour, a conversational approach and multimedia-driven presentations and workshops.He has a particular interest in trends affecting how people live, work, interact and connect with each other. He works with organisations around the world to help them prepare for the future, and develop their leaders. Speaking internationally to over 100,000 people in more than 20 different countries every year, he has shared the platform with the likes of Edward de Bono, Michael Porter, Kofi Annan, Markus Buckingham, W. Chan Kim, Allan Pease, Sir Ken Robinson and Neil Armstrong. He has won numerous awards for his speaking and facilitation, including Speaker of the Year by the Academy for Chief Executives, has attained the Global Speaker Federations Certified Speaking Professional Global qualification and is a Fellow of the Professional Speakers Association. He is the only speaker in the world to be inducted into two speakers â€œHalls of Fameâ€ (Southern Africa and the UK & Ireland).Graeme is the co-founder and a international partner of a firm of futurists and business strategists. He is a guest lecturer at a number of top business schools, including the London Business School, Duke Corporate Education, Cornell and the Gordon Institute of Business Science. He is a professional member of a number of associations, including the World Future Society, The Institute of Directors, the International Association for the Study of Youth Ministry, the Global Federation of Professional Speakers and MENSA. He has a Doctorate in Business Administration (note: his DBA was awarded by the now non-accredited Rushmore University - Graeme is in the process of pursuing further doctoral studies), a Masters in Sociology, an Honours in Youth Work and two undergraduate degrees - in Arts (Theology/Philosophy) and Commerce. 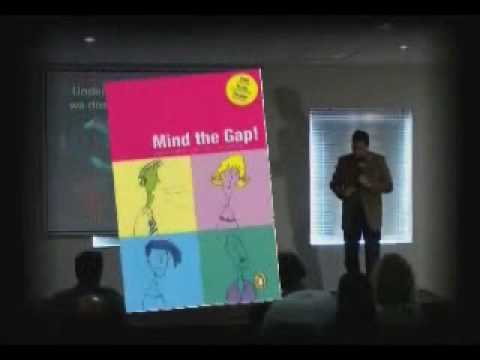 He has a number of best-selling books, including the award winning, â€œMind the Gapâ€ and â€œFuture-Proof Your Childâ€, published by Penguin.Graemes breadth of knowledge and expertise makes him highly relevant in todays rapidly evolving business world. Along with his formal qualifications and research credentials, he has a wide range of business experience. He did Chartered Accountancy articles at KPMG, was involved in an IT startup, has been a professional musician, a strategy consultant and is now a full-time speaker, facilitator and author. His client list includes some of the worlds top companies, and CEOs invite him back time after time to share his latest insights and help them and their teams gain a clear understanding of how to successfully prepare for a disruptive future.Graeme works from bases in London and Johannesburg, presenting and facilitating on every continent around the world. "Veel parate kennis, actueel en goede interactie met de zaal"
"We hebben een topavond gehad met Michiel! Hij is een zeer enthousiaste, toegankelijke en geïnteresseerde spreker. Veel parate kennis, actueel en goede interactie met de zaal. Ook buiten zijn ‘optreden’ easy going, hij mengde zich tijdens de nazit gemakkelijk tussen de aanwezigen en wekte de indruk het naar zijn zin te hebben. Kortom, een aanrader. Dank nogmaals dat je hem zo snel voor ons hebt weten te arrangeren!" "Graeme Codrington has on many occasions presented at the University of Witwatersrand Business School on our executive programmes. His work on Generational Theory has always been exceptionally well received. 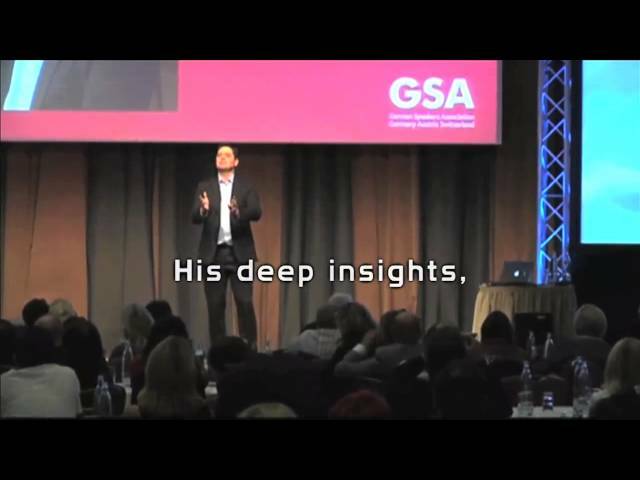 Based on Graeme's past performance we asked him to present to the international gathering of 53 business Schools that was held in Johannesburg in 2007. Once again his presentation drew accolades from the audience. We believe that Graeme's work on Generational Theory is essential for business leaders, as it allows them to understand and empathise with people from different generations to their own. On a personal note we have always found Graeme to be a pleasure to deal with and a true professional." "WesBank is proud to have had the opportunity to work with Graeme Codrington for a number of very high profile conventions hosted or sponsored by ourselves over the past 5 years. Graeme's ability to share his wisdom, knowledge, business understanding and strategies surpasses any speaker we have been exposed to. Furthermore, Graeme and his team have always been open to engaging us on the theme/topic for the event and tailor-making their presentations to suit the very specific industry or market needs. This is hugely beneficial as we know we can rely on him to research and understand our industry comprehensively, before embarking on the presentation compilation. Graeme's professional excellence as well as his entertaining and amusing presentation style, is what sets him apart."